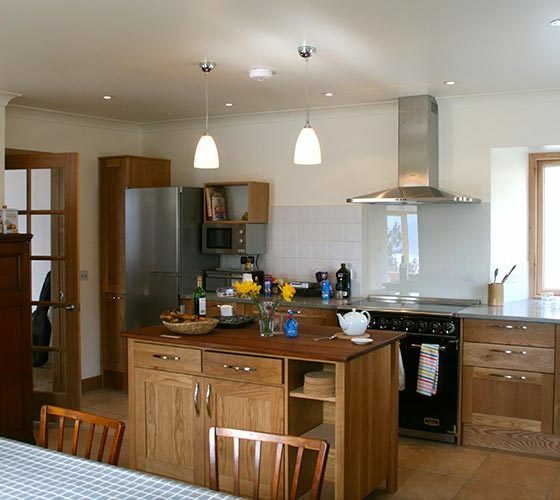 Lerigoligan is the dream Scottish holiday cottage. 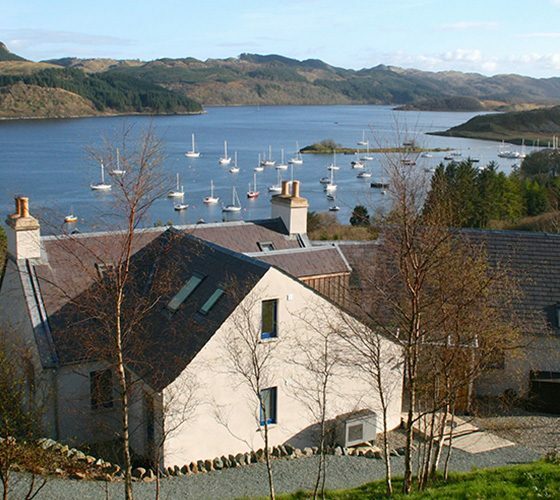 The beautifully renovated croft house offers stunning coastal views and unpretentious décor. We provide all the modern comforts that make for a perfect stay. 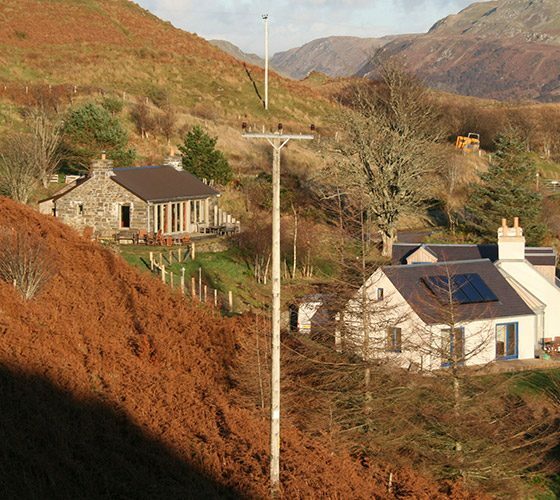 Designed with you in mind, there is plenty of space to leave your wellies, hang your coat, and curl up in front of the fire with a good book, a reliable internet connection…and those views! Need extra space? 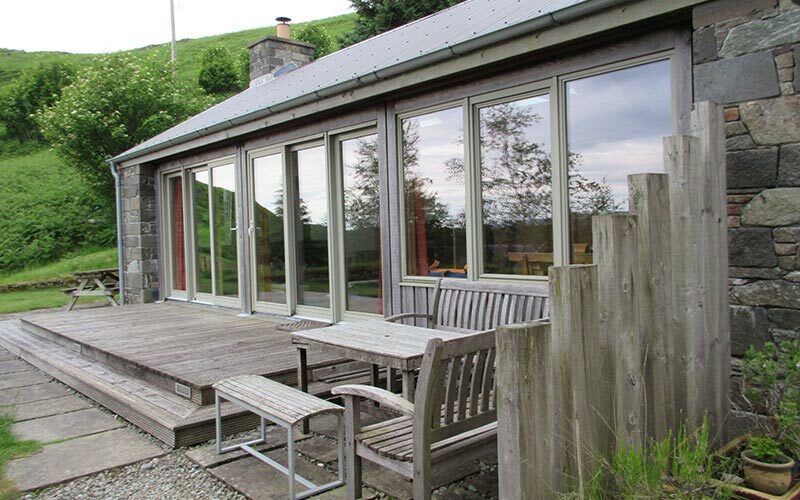 Add the Bothy to your booking and you will have access to 2 extra beds, a shower room and an open-plan, glass-sided kitchen/living room/play space perfect for kids and adults alike. 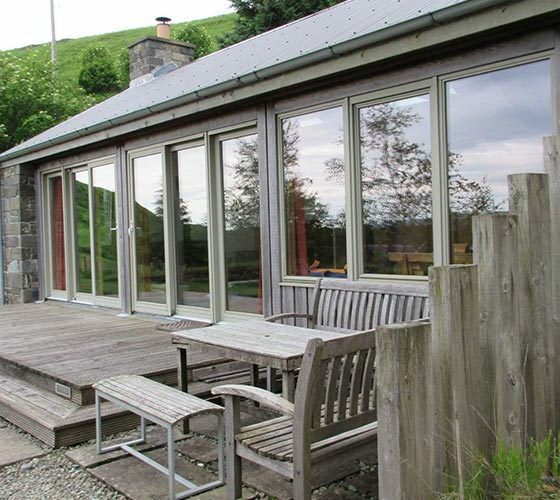 All of the wonders of the Scottish countryside, right on the doorstep, and the views right from every window. 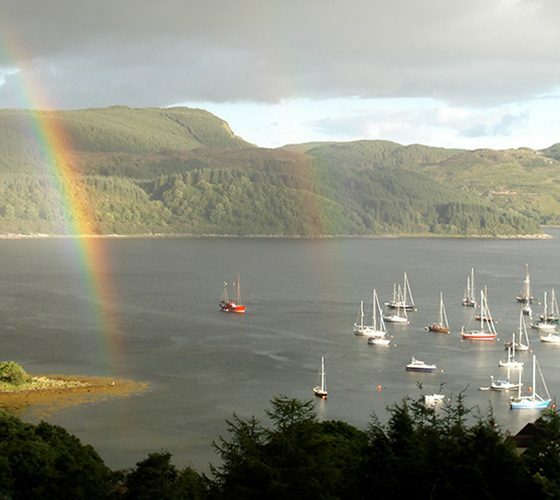 From paddling the loch to hiking nearby hills, visiting the local museum and standing in awe of standing stones, you will not be bored. 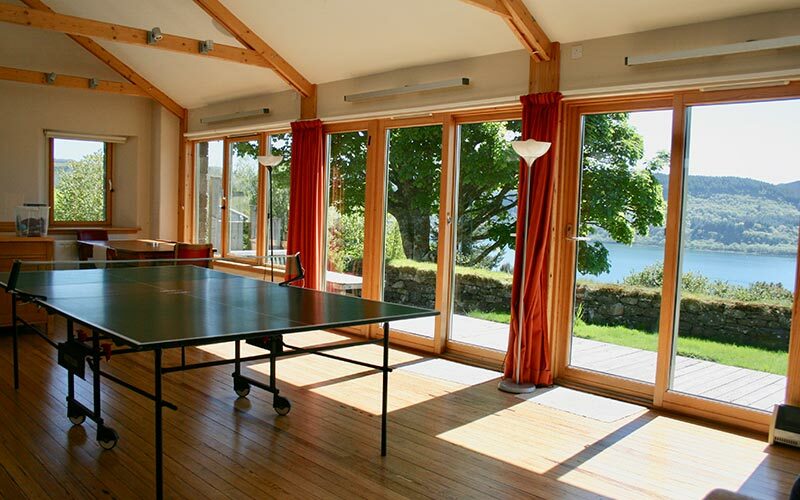 Our holiday home doubles as a fantastic event venue. Whether yoga, art or music is your thing, the Bothy makes a flexible, pleasant and private venue. We’ve hosted classes, workshops, parties and retreats. Delicious catering is available from our wonderful housekeeper. The house is large and spacious and very welcoming. Booking and arrival was well explained and directions were great. The house was immaculate and really well equipped. There was enough of everything for a large party of people and kids and adults alike really enjoyed the stay. We wanted somewhere where we could relax, go for walks, eat out and this place had it all. The village is sweet and has a good pub serving food and a really well stocked shop. The lochs were lovely for swimming (a bit cold!) and there is lots to do in the area. We’ve already re-booked for next year and that is really rare for us to go somewhere twice. For the second year in a row we spent Christmas week at Lerigoligan. The house was as beautiful as we remembered. What we love about it – the lovely warm and comfortable bedrooms and especially the very good beds, the elegant bathrooms (a rare treat in Scotland), the sitting room with the log fire and the mid century furniture, the big farmhouse kitchen with its great long table perfect for family breakfast on Christmas morning and for our murder mystery dinner on Boxing Day, the utility room with the extra fridge for storing our bottles of prosecco, and most of all? 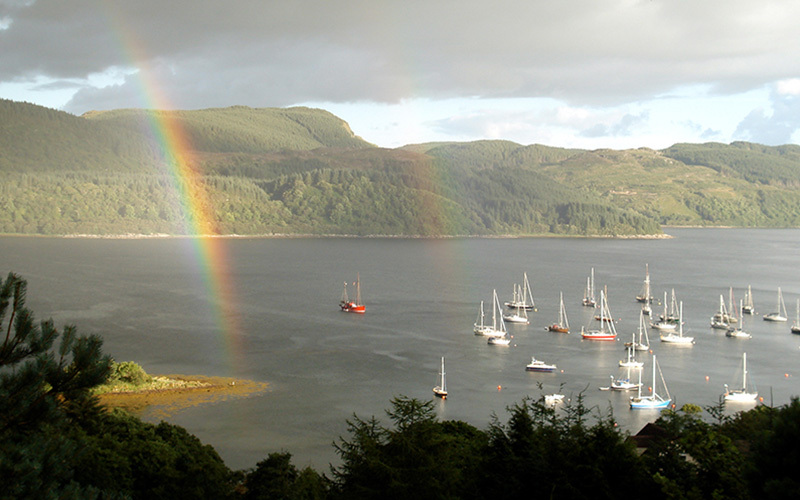 – the beautiful view of the loch down below and the hillside across the water, the hills and the sky. If we ever get there in summer we’ll enjoy the little sun room and the link dining room. Everything clean and warm and waiting for us. The perfect place for a relaxed family break. We had a wonderful time! 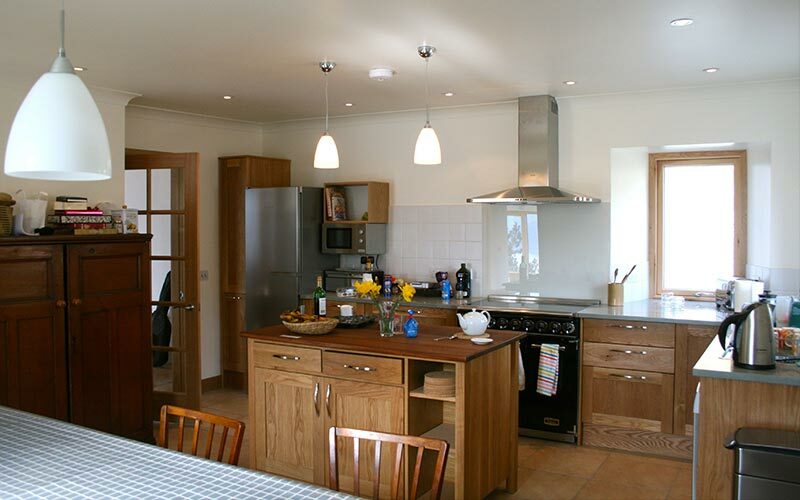 We have stayed at holiday homes before but never in such a well-equipped, clean and spacious home as this one. And the view… we were completely blown away (that would include the literal meaning when we climbed to the top of the hill where we could also see the valley on the other side). We spent hours watching the birds from the sun room (bird feed provided for) and the ever changing skies. Just one criticism: we felt the photographs of Lerigoligan on the website really don’t do the place justice. Look at these photos and multiply by ten. You’ll be happy you chose this place when you arrive! 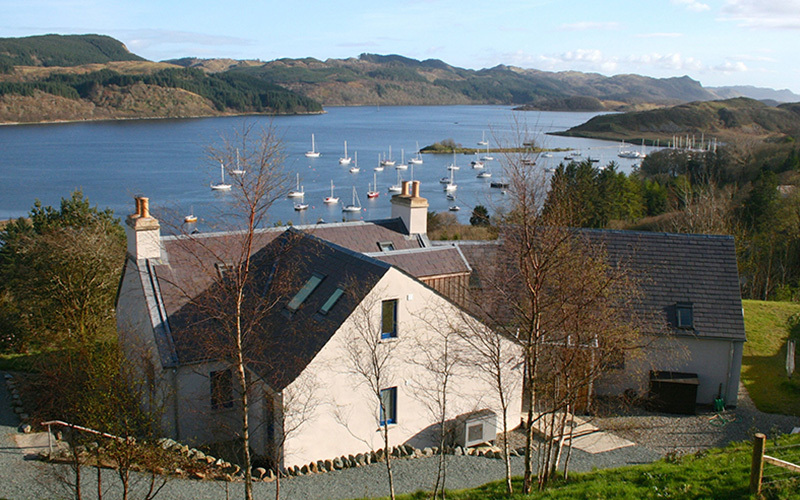 Having had a wonderful stay at Lerigoligan 7 years ago we were looking forward to returning this summer. The renovations that have been done to the house are excellent and the bedrooms with the loch views offer a real ‘wow’ feature. Rarely have we stayed anywhere which has been so comfortable – every aspect thoughtfully and well equipped. We made the most of the housekeeper’s catering expertise and very much enjoyed the three meals that she prepared for us during our stay. 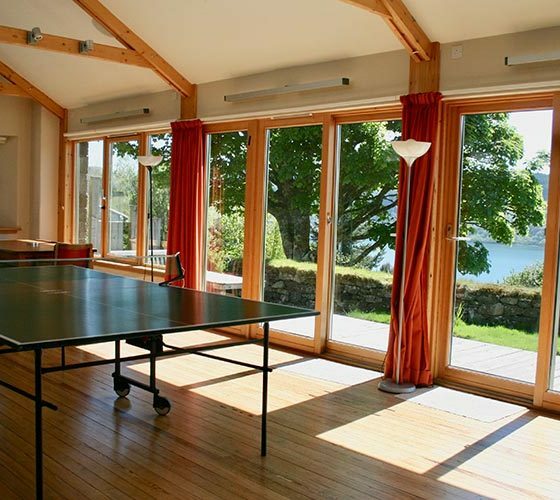 The ‘bothy’ was a very welcome addition with its table tennis and extra space. We had a fantastic week, the sun shone, and the views from the garden just stunning. Many thanks for sharing this special property. We had chosen Lerigoligan for the location and the flexibility of the accommodation, as we had different family and friends staying with us during the week. As it turned out we had chosen very well. 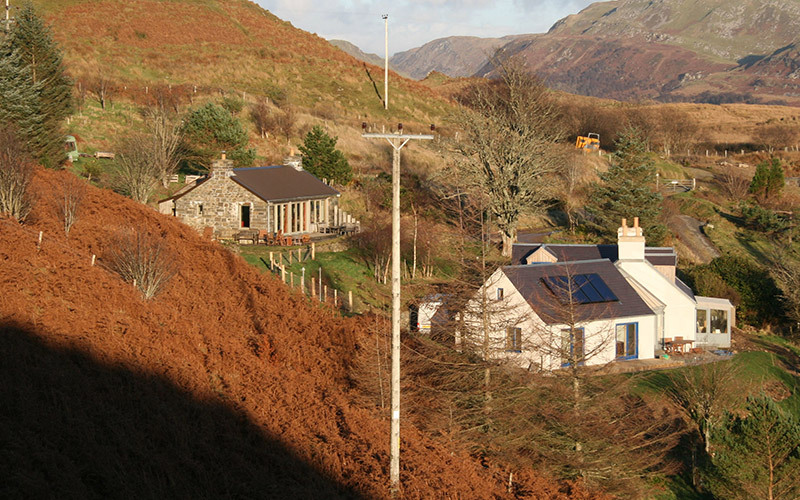 The cottage is in a very peaceful setting with great views. We had the cottage and the bothy so there was plenty of space for everyone to spread out and relax. The cottage was warm and cosy and well equipped. Even Archie the Border Terrier loved it!